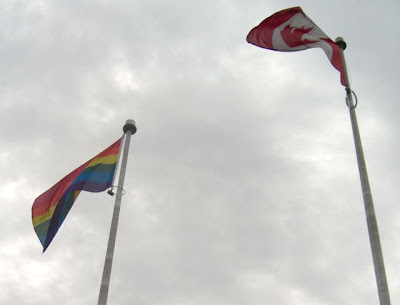 It's Pride Week here in Simcoe County, with festivities running from August 2-9th. 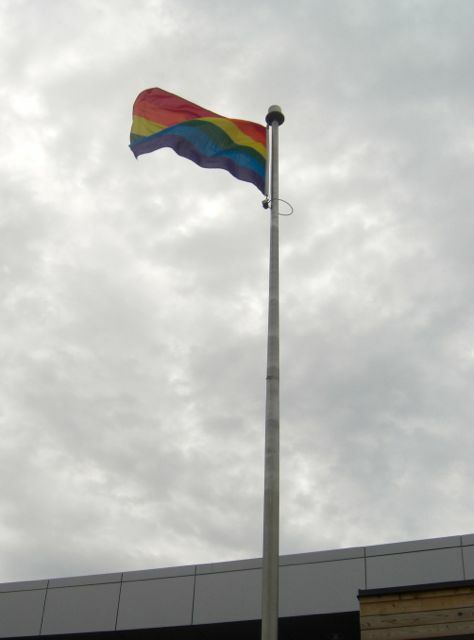 Simcoe Pride has organized a number of events, including Pride Flag raisings in ten communities. 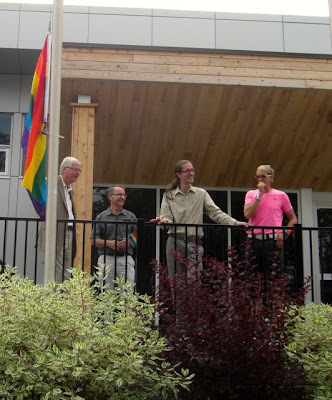 This will be the first time many of the municipalities have flown the Pride Flag (Penetang raised their Pride Flag for the first time last Friday). 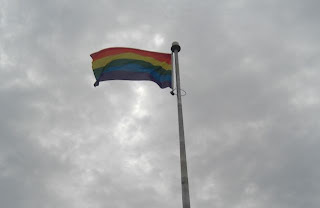 Yesterday morning there were eight flag raisings in Simcoe County, and I went with Betony and Clara to the one in Midland, ON. It's a small town so we ran into some friends and had a really fun time watching Midland show its Pride. 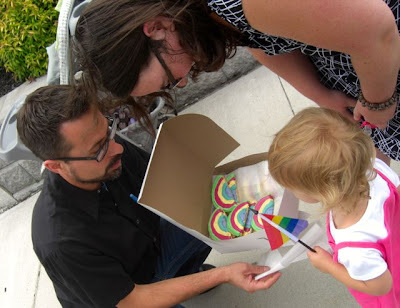 André from Ciboulette et Cie made rainbow cookies for the event and handed them out to the gathered crowd. 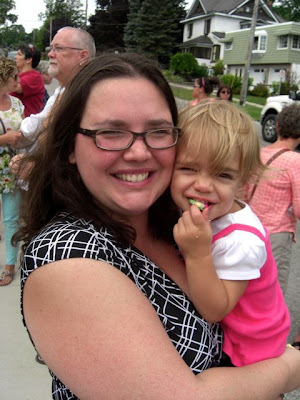 It was such a lovely thing to do and the cookies were great. 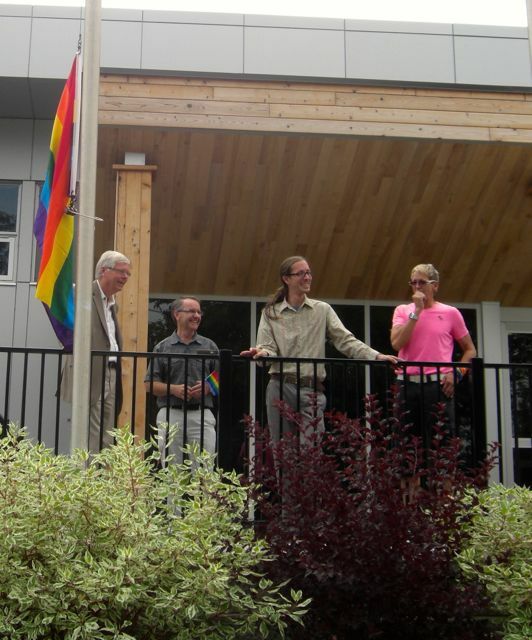 Members of Simcoe Pride and Mayor Gord McKay said some words before the flag was raised. There is a Pride Flag flying in Midland, ON! Woot! After the flag was raised, I got a nice shot of Betony and Clara looking adorable. We all gathered on the steps of Town Hall to get into some photos. Being behind the camera I don't have any photos of me, but I make an appearance at the end of this video of the event. 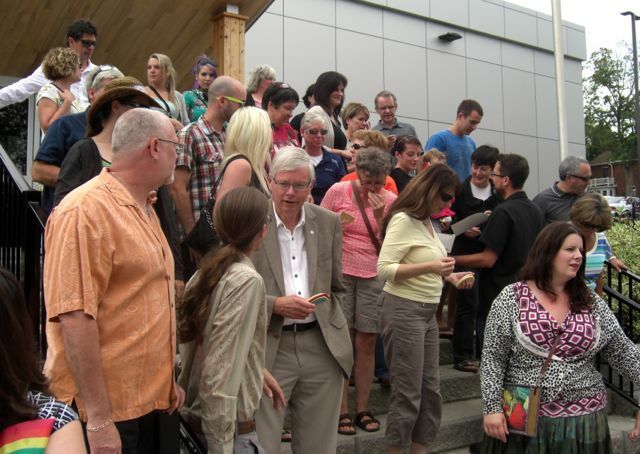 I'm in the front left wearing a green top. 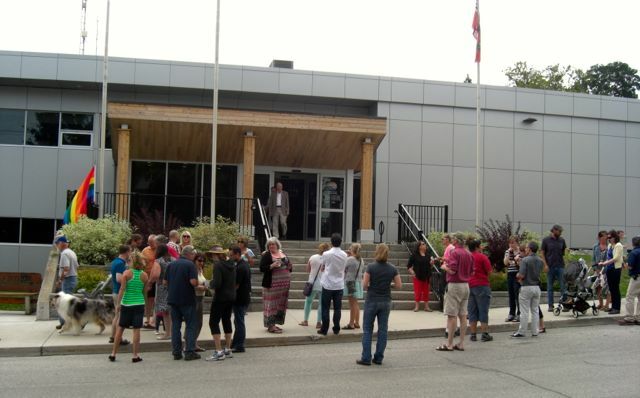 The flag raising was a great experience and made me proud to see so many happy and smiling people showing their support. Way to go Midland, ON! Loved the little cookies. How fun is that.